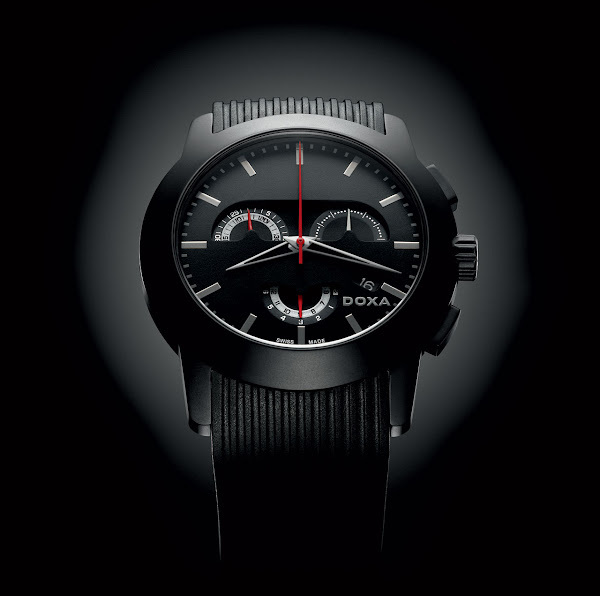 The Grafic Mistero from Doxa is not bound by the established conventions of classical watchmaking! With its two superposed dials pierced to partially reveal the chronograph counters, it marks a return to the Bauhaus movement, which married architecture and minimalism. The black dial of the radically-matt black case is contrasted with a few red and silvered highlights, giving this timepiece its sophisticated and resolutely masculine character.